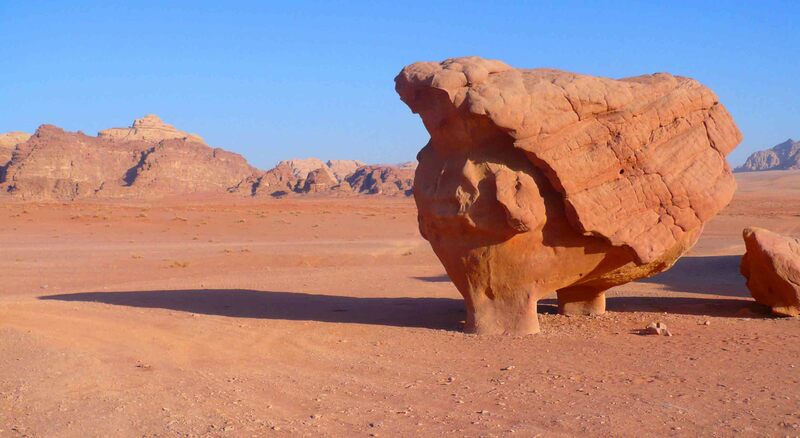 Down the south of Jordan in the Middle East is a very special desert called Wadi Rum. I don’t write much about Jordan, probably because my memories are not so strong from my time there and my diaries are all gone, but it really was a great country to visit for a couple of weeks. 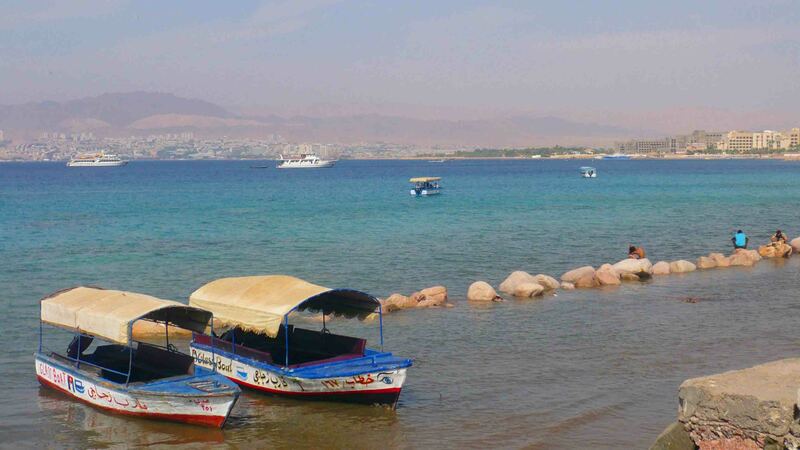 Across the bay at Aqaba. Egypt straight across, possibly Israel to the right. 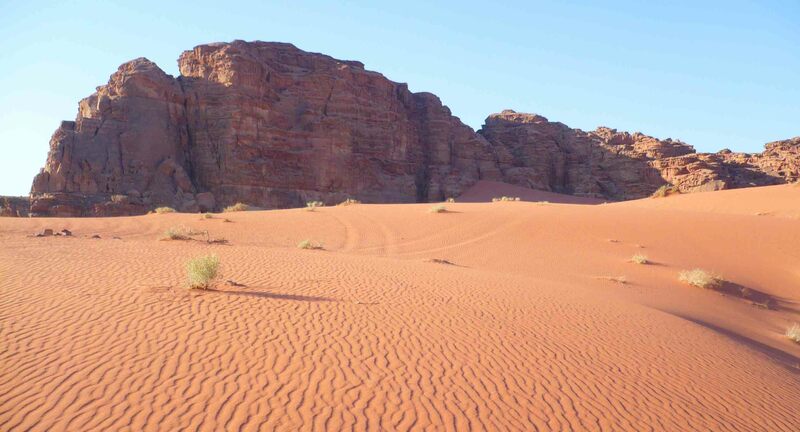 Wadi Rum is in the south of Jordan, not too far from Aqaba at the top of the Gulf of… Aqaba. Well, it is! In itself it’s a special location because from there you can see three (including the one youre in) countries from that spot. Directly across the bay is Egypt and to the right a bit is Israel. But an hour and a bit or maybe a little less by taxi and you’re there in the middle of nowhere. Now, I should clarify that by ‘the middle of nowhere’ I should state that this does not mean it’s the sort of place you can have all to yourself. However, the region is so wide that the tour groups that visit can keep well away from each other with little effort. 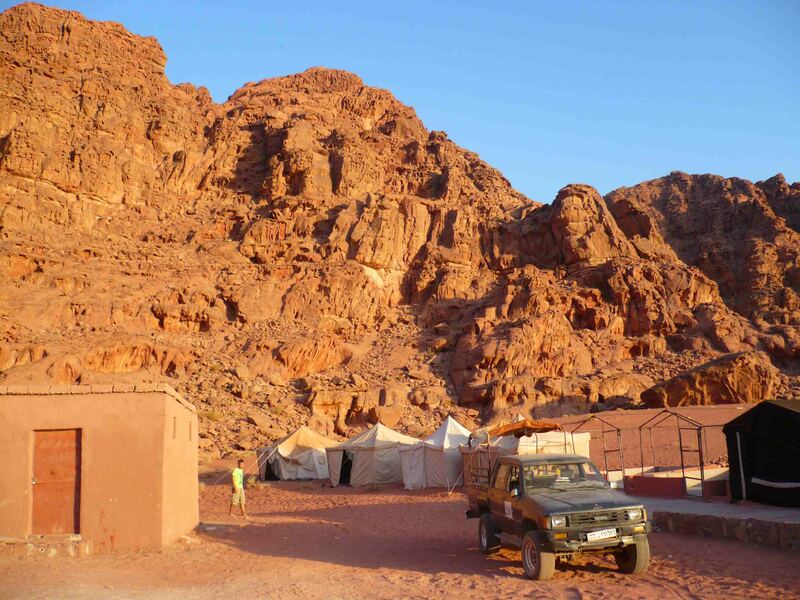 As easy as it is to reach from Aqaba – you’ll need a tour either way, and transport would be included – I actually booked and accessed it from Petra. 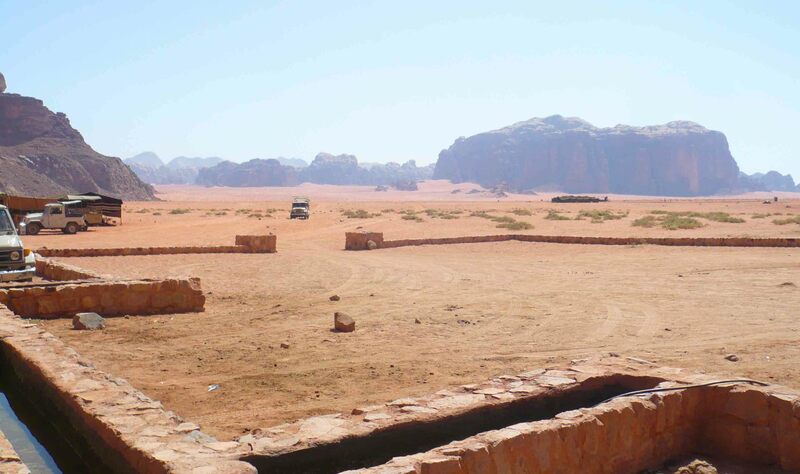 It was a reasonable price for a two day, one night tour of Wadi Rum staying in a traditional Bedouin Camp. Well, somewhat traditional. People generally get a tent to stay in with a sleeping bag and mat, and it’s up to you whether you want to stay in the tent or take it outside and sleep under the stars. Most people, as I did, choose the second option there which is bloody brilliant. I was with a few people from my hostel in Petra and we were transported to Lawrence’s Spring, where Lawrence of Arabia was reputed to have bathed apparently. There were a few tents and this was where the different groups left from. I think we had about 12 in our group in the end as different people joined different tours. View out of the tent at Lawrence’s Spring. You can indeed ride a camel if it is so your wish. It was not mine. It would have been nice to have an extra day, but the two-day tour was fine I think as the best part of it was just being there. We left in a sort of elongated pickup truck. It had seats along the side that weren’t very comfortable, probably the worst thing about the amazing two days I had. Dune! A dune! My kingdom for a dune! You drive around a lot across and through the dunes, and it’s truly breathtaking. The sand is a sort of red colour, which is a lot like the sand of central Australia. There are several points of interest that we covered over the two days. We had lunch in a valley, we slid down the sand dunes for fun, we saw what the winds had done to the rocks in the area. And this was a highlight – the winds had blown hard and furiously for centuries. A tooth sat out of the sand, it looked like a giant’s tooth from the bottom of his jaw. And then there was a “bridge” that people would walk across to take photos. Even better was taking photos of the bridge itself. Sadly he didn’t know ‘Jessie’s Girl’. Finger lickin’ good chicken pulled straight out of the ground! 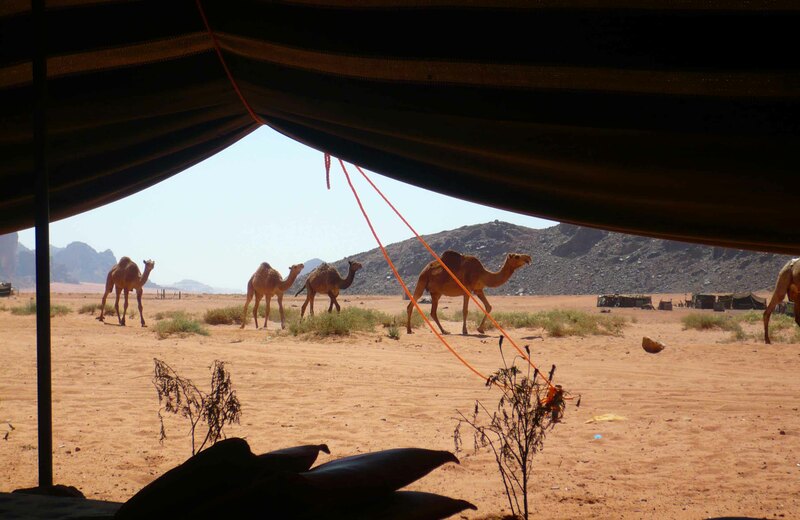 The Bedouin Camp as we arrived. But the best was the night in the camp. 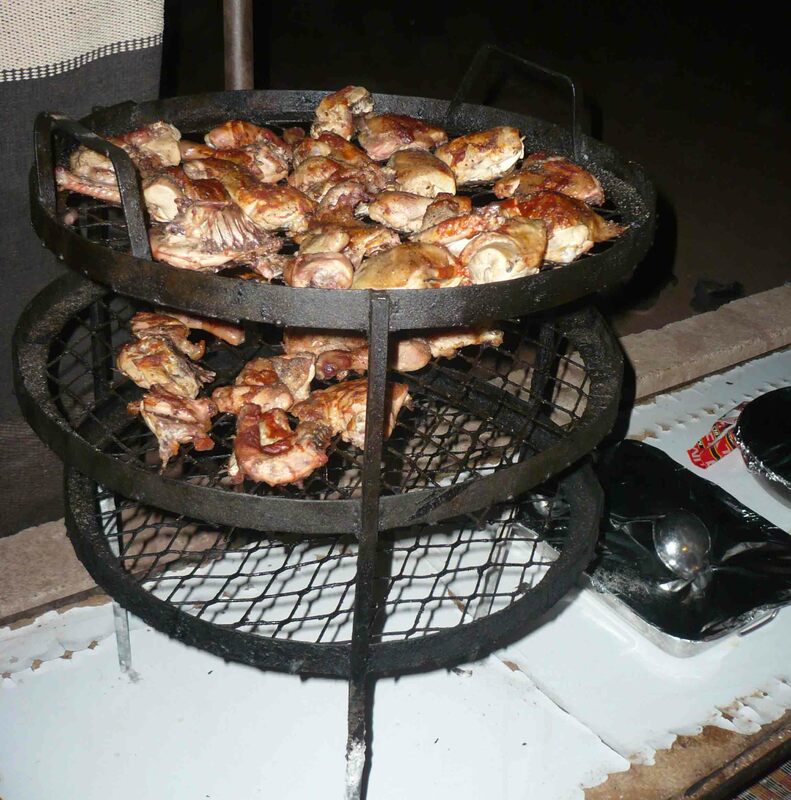 Delicious meats cooked for hours and hours underground. Music, dancing, sleeping under the stars. 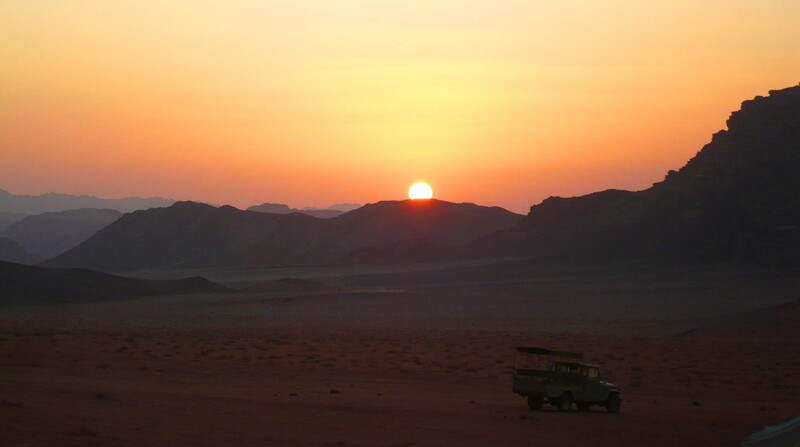 But before that, above our camp, we went up the hill and admired the view as the sun set over Jordan and Wadi Rum. A magnificent sight. Waking up in the desert after sleeping under the stars. 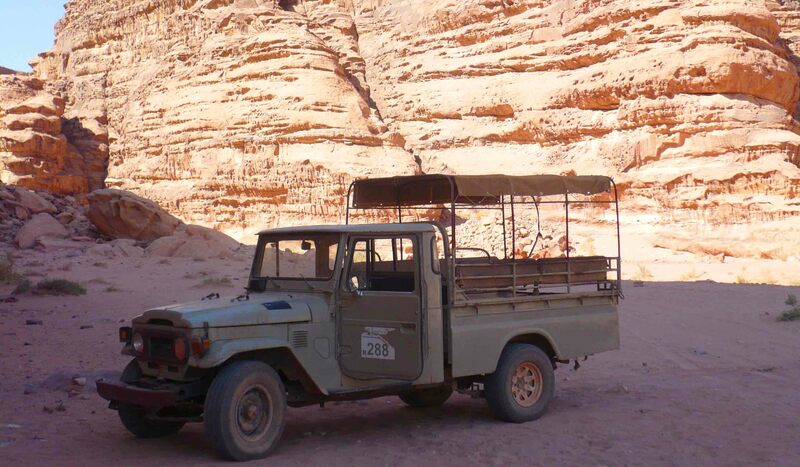 At the end of it all, around lunchtime on the second day, I shared a taxi to Aqaba. We had a rather aggressive driver – and he got done for speeding on the journey. So that was that, an amazing, beautiful experience. And hopefully one where visitors didn’t and don’t leave a big footprint. Well, if we do, the wind will cover it up with sand pretty quick. May the Journey Never End! I was waiting for him to turn up! This sounds absolutely magical. 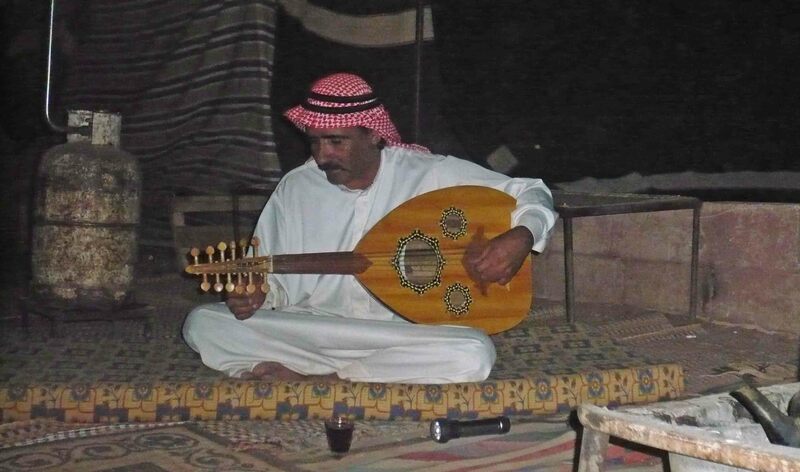 My husband visited when he went to Jordan but didn’t stay the night but if I ever get the chance to go, I would love to camp out and sleep under the stars there. Staying the night was THE highlight of being there. Thanks for commenting! 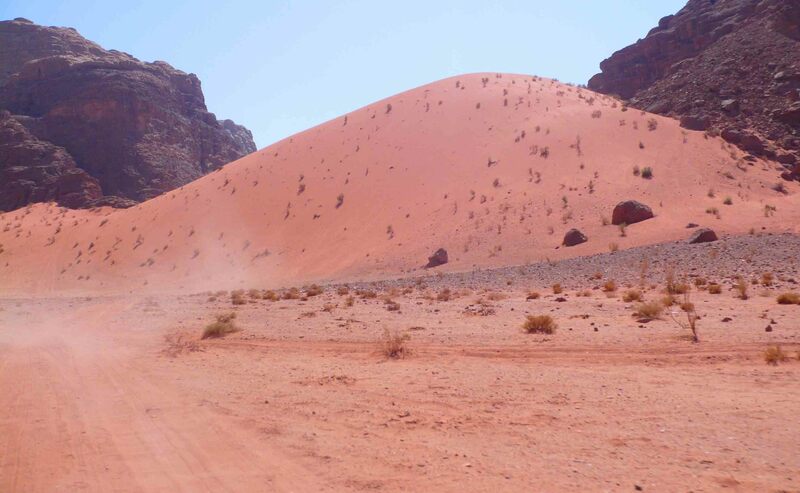 Wadi Rum was one of my standout experiences from Jordan 12 years ago. I didn’t stay overnight, but I really liked it there. We also did some dune-bashing in the 4WD, which wasn’t everyone’s cup of tea, but it was a bit of fun. I did ride a camel though!! 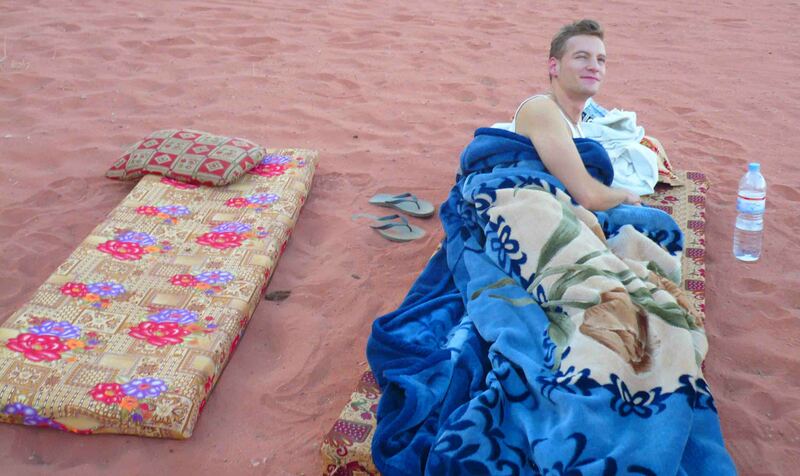 Great photos, love the colour of the sand and sleeping out under the stars must have been a great experience. Sleeping under the stars… how wonderful. Are there no creepy crawlies that you have to worry about being exposed to the elements!? I know it may sound weird but I would love to jog there in the morning, get lost and get found by locals who would have a nice chat with me!! 🙂 That’s me looking for more adventures! 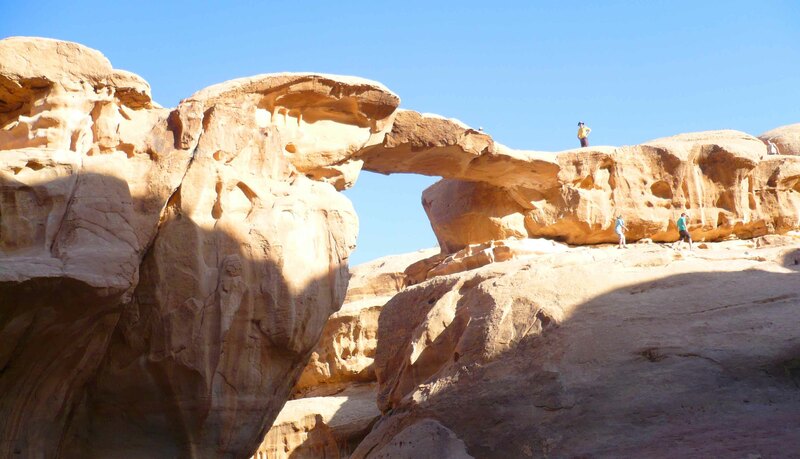 plenty of adventures in Jordan! its a wonderful spot on this earth! thanks for commenting! Beautiful pictures! We did some rock climbing there as well, what was amazing too. 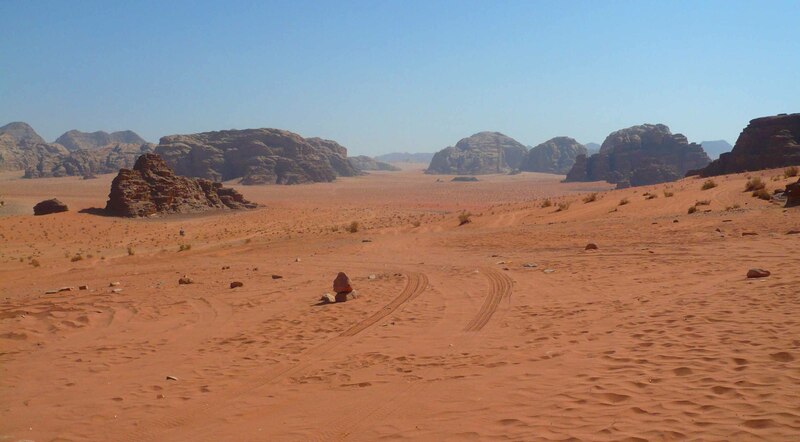 We had to walk through the desert for two hours just to get to the bolted cliffs. 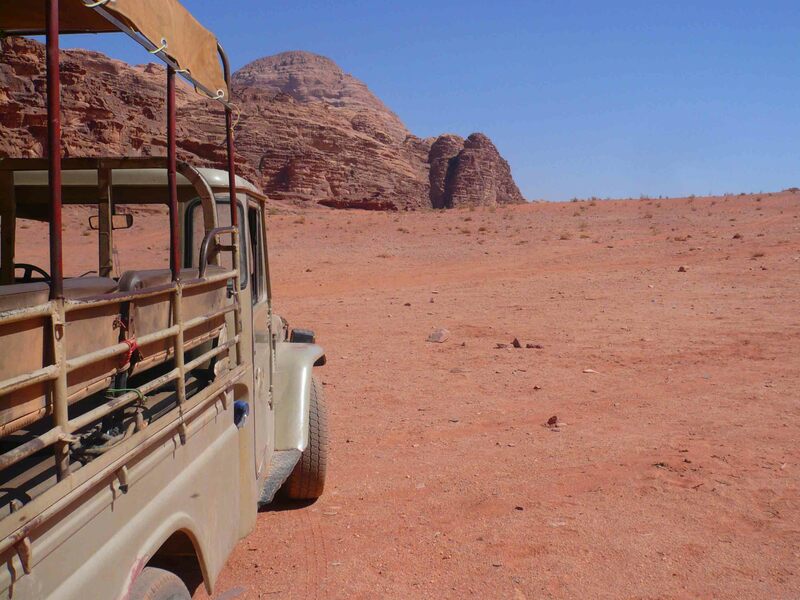 We would like to go back and explore more of Wadi Rum. There are several sites with petroglyphs dotted over the desert as well. We visited only a few of them. it’s totally worth it! Thanks for stopping by!